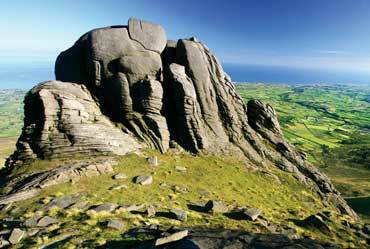 After a full day trekking the Mournes, breathing in fresh mountain air and admiring enchanting landscapes, Kilbroney Caravan Park provides you with a comfortable and attractive forest side setting to kick off your boots, put up your feet and gaze at the stars. 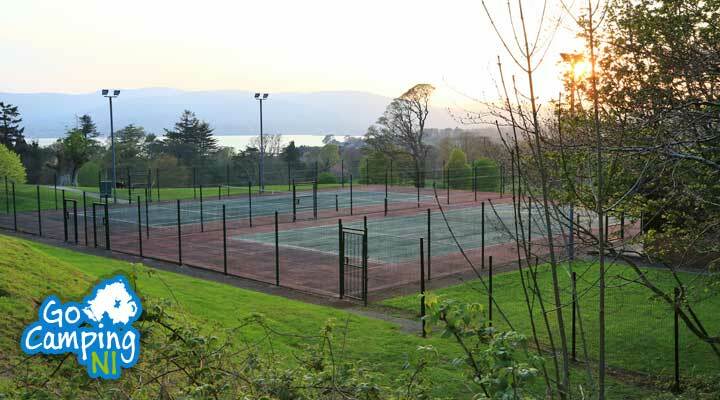 The Park lies at the foot of Slieve Martin on the coast of Carlingford Lough at the village edge of Rostrevor. 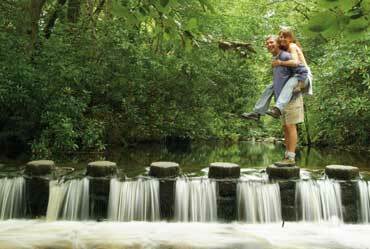 Surrounded by 97 acres of beautiful forest and parkland there is certainly no shortage of things to do. 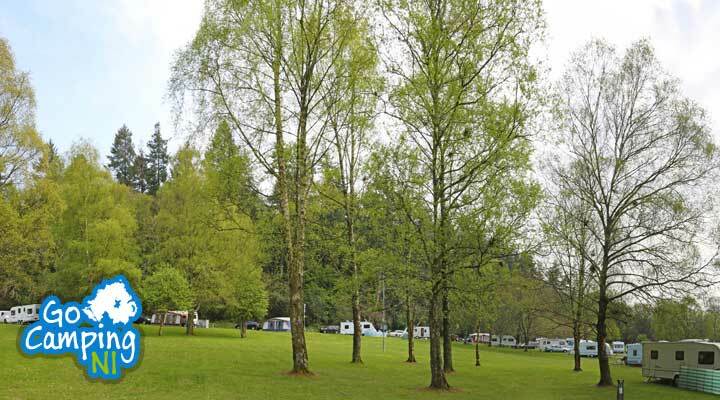 The park has 51 touring pitches, positioned on a level grassy area, surrounded by mature trees. 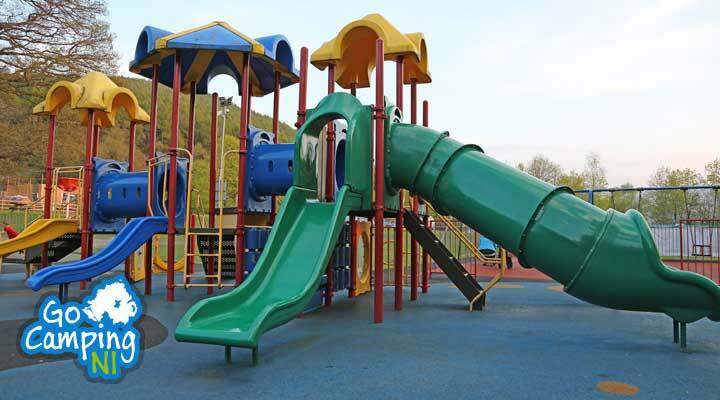 Kilbroney's onsite facilities include Tennis courts, children's playgrounds, BBQ areas, toilet/shower block, laundry room, dishwashing area and an onsite café with views across the parkland. You will be able to pick your own pitch when booking online. On Arrival a £20 refundable deposit is required for an access card. Arrivals from 2pm, Departures by 1pm. 10% off 7+ consecutive nights. The Fairy Glen in Rostrevor provides a pleasant venue for a short stroll. From the centre of Rostrevor village, go down Bridge Street. The Fairy Glen is on the left immediately after the bridge beside the entrance to Kilbroney Park. Read More. 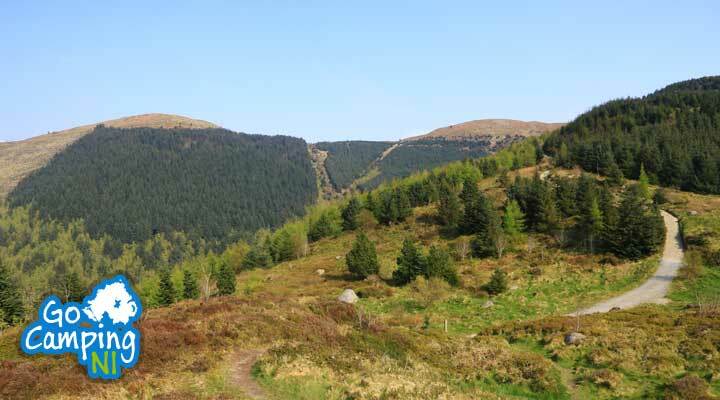 There are three waymarked trails, which vary in length from 1.25 miles to 4.5 miles, and take the visitor to various areas within the forest to enjoy the many magnificent views and beauty of the woodlands. Read More. 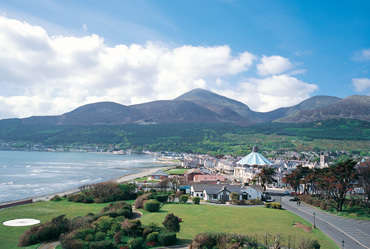 This walk follows the shore west from the holiday centre of Cranfield to the village of Greencastle. The walk is easy but the beach is rough and rocky in places. Not passable at high tide. Read More.